Thank you for visiting our Web site. 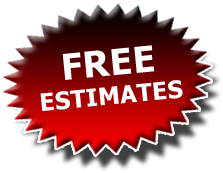 Please give us a call or fill out the following form to request an estimate or information about our services. When you are finished, click the 'Submit' button & we will be in contact soon.